Cut out four small kites, or one for each letter of the word. 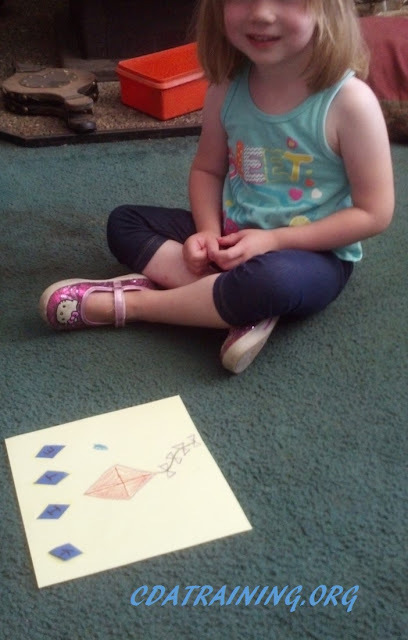 Place them on a piece of construction paper and lightly trace the edges to help guide the placement of the pieces. Write one letter in each of the kite shapes as well as on the corresponding shape on the construction paper. Draw a picture of what the word is, in this case we used kite. 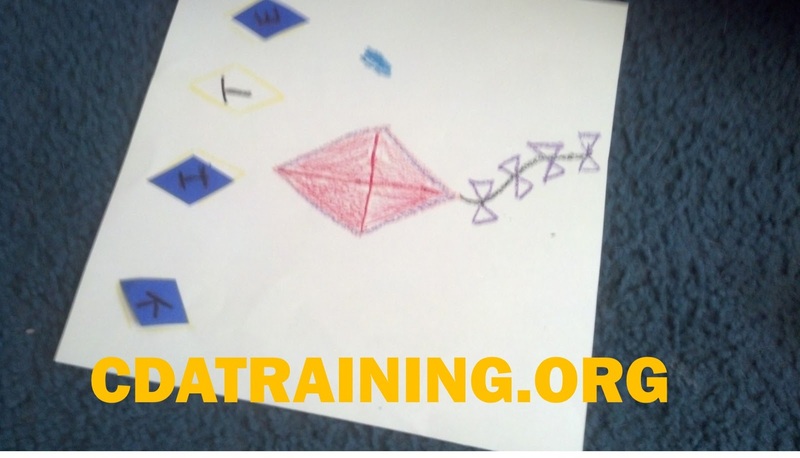 This project will help children associate the image of the kite with the letters that create the word.